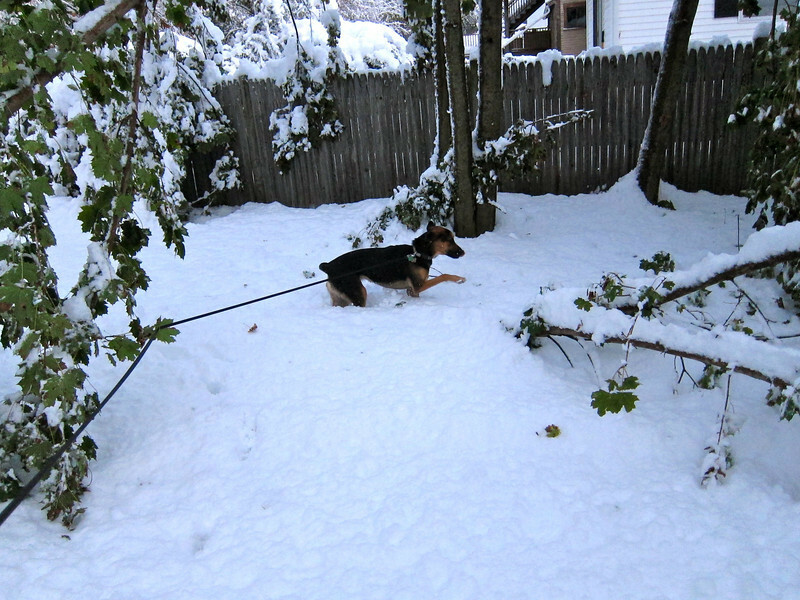 14 inches of snow on 30 October 2011. We lost a couple of trees in the back yard. The snowblower and generator got an early start to Winter. We lost power for about 16 hours.